A remote village in the Yorkshire Dales has become the first place in the North of England to benefit from a pioneering new technique which brings superfast broadband to challenging and remote areas. All 16 homes and businesses in the village of Ulshaw, Lower Wensleydale, now have access to fibre broadband with speeds of up to 80Mbps thanks to BT’s new superfast Fibre-to-the-Remote-Node (FTTrN) broadband technology. The technology works by installing a fibre optic cable – which runs from the local telephone exchange – much closer to the properties and using a small box called a ‘Remote Node’. Traditionally BT would need to build a much larger street cabinet to bring fibre broadband to an area, but the remote node effectively acts like a miniature cabinet – and it can be positioned on telegraph poles, inside manholes or a variety of other locations. This means it can be deployed where space is at a premium or where the traditional approach is too complex or expensive to achieve. FTTrN can also shorten the final length of copper cable which connects a home or business – so it gives more homes and businesses access to the fastest 80Mbps speeds and even provides a more stable connection. 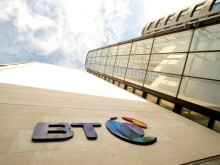 It is part of a number of innovative technologies in BT’s toolkit which the company has designed to expand the reach of fibre broadband even further. The innovative scheme in Ulshaw was made possible by funding from the Superfast North Yorkshire programme, a partnership between BT and North Yorkshire County Council. Paul Carlo, senior project manager for Superfast North Yorkshire, said: “Using FTTrN was the ideal solution for Ulshaw. With such a small number of premises we couldn’t really justify the cost of building and installing one of our more common green fibre cabinets. Instead we have installed this node in an existing joint box and it will serve the whole village. BT was chosen as the private sector partner in the project following an extensive selection process by the county council. The company is contributing £10 million towards fibre deployment in “non-commercial” areas whilst the county council is using its £17.8 million share of BDUK funds and a further £8.6 million coming from the European Regional Development Fund . An additional £8m is being invested to push the deployment of fibre even further with the aim to make the technology available to another 11,100 homes and businesses across England’s largest rural county by 2017. To help businesses in North Yorkshire take advantage of the faster broadband speeds a support service has been put in place to provide free services such as training workshops, skills master classes and business development events. This will demonstrate how faster broadband connections can help to develop business and increase profits by maximising efficiency and productivity. For more information call 0845 0020021 or email: enquiries@sfny.co.uk. *The Government’s nationwide rollout of superfast broadband - internet speeds greater than 24Mbps – has now reached more than two million homes and businesses. BT’s high-speed fibre broadband network now reaches almost 22 million premises. The network is open to all communications providers on an equal basis – with 140 communications providers now selling fibre broadband services.